Saturday 2nd September Laser Open Meeting hosted by Starcross Yacht Club. 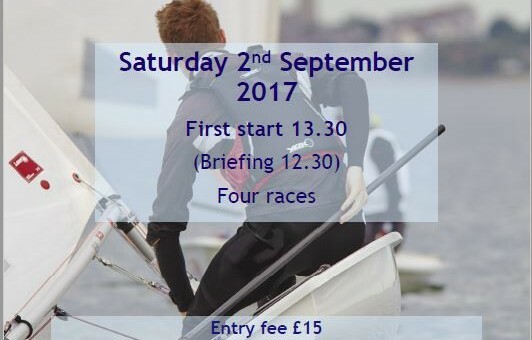 Full details including, entry form, Notice of Race and SI’s on SYCs website. A number of people have asked for an e-copy of this year’s sailing programme. Click this link -> LSC 2017 Programme to download a pdf copy. On behalf of the LFHA members are reminded that the harbour must be cleared of all vessels (Dinghies, tenders, kayaks, etc.) by the end of Sunday 25th September unless a licence has been obtained for Winter berthing on the racking.